Last picture I'll take with that phone! Well, after my horrid pictures, I decided to dump the old phone (that I only used for two weeks), which I got for free from the workplace. I thought it was decent, but it quite clearly wasn't. After a long and gruelling process, I settled with the Samsung/Google Nexus S, as I hate Apple with a passion and Android will be the next best OS. This phone is absolutely awesome. 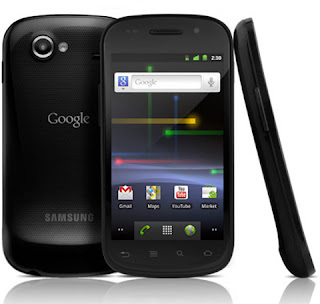 It has a very fast response, combined with the newest version of the Android OS (2.3 Gingerbread). I'm still playing around with it, but I'm really satisfied with my purchase. This new phone was $300 and I have unlimited talk/text/data for $33/month, which is ridiculously cheap for Canadian standards. For people that don't know, Canada is ranked as the world's most expensive place for cell phone plans. With this, I would also like to introduce a new Blogger addition. 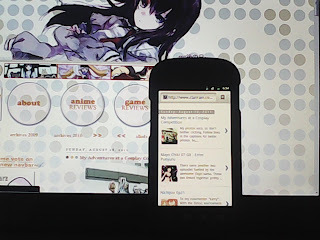 They have created an automatic mobile rendering of the blog site, to make it easier to read posts made. 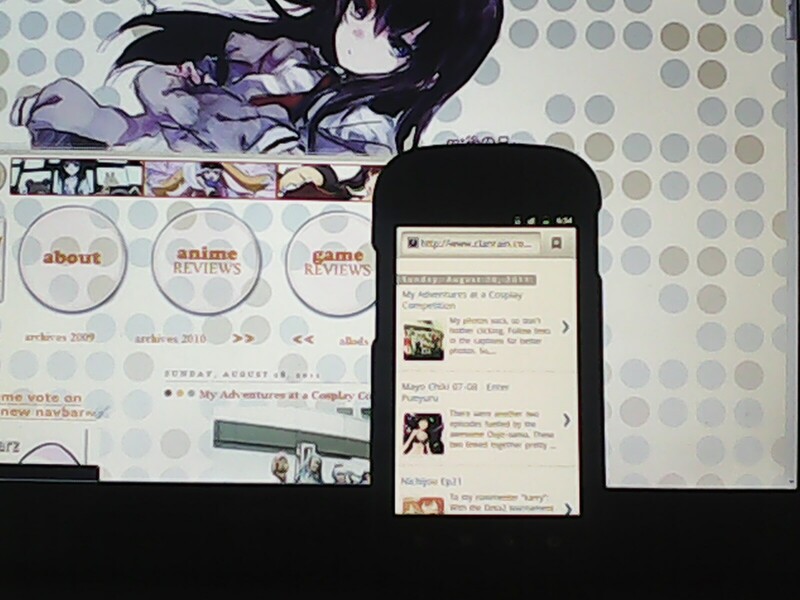 You can see it displayed on my new phone. This is an absolutely awesome update for the Blogger platform. BTW: I was supposed to have the Fall Preview post done today, but playing with my new phone has taken up all of my time, so... I'll have the Hanasaku post later.